A few weeks ago, I wrote about the “Blandings Dream House” promotion in which the marketing department of the studio behind the Cary Grant movie “Mr. Blandings Builds His Dream House” built several houses around the country. The houses were built and furnished locally, with the contractors sharing in the (massive) advertising blitz. Once the home was completed, people toured the house, with a small admission going to charity. One of those houses was built in Dallas (in Preston Hollow). That was in 1948. Twenty-three years BEFORE that, the Dallas Times Herald sponsored something called “The Pasadena Perfect Home,” built and marketed in a similar manner. In the early 1920s, land in the general area we now know as Lakewood was pretty much undeveloped. There was a lot of open space — some farmland, the occasional cotton patch. White Rock Lake was becoming a popular recreational destination, but it was still WAAAAY out beyond the center of Dallas. But by the mid-’20s, developers started developing. A few of the neighborhoods that sprang to life at this time were Lakewood, Hollywood Heights, and Santa Monica. In 1925 — in the part of town then being referred to as “New East Dallas” — a 40-acre parcel of land near the Hollywood/Santa Monica subdivisions began to be planned. The small tract of 130 lots was to be known as Pasadena, located just north of Gaston, comprised of Pasadena, Wildgrove, and Shook avenues, bordered by Auburn Ave. and White Rock Rd. The developer came up with the brilliant idea of marketing his investment by building two “perfect homes” and, while they were under construction, to promote the bejabbers out of them in the pages of the Dallas Times Herald, the project’s sponsor (and namesake). Just like the Blandings builders did a couple of decades later, local construction crews, plumbers, electricians, stone masons, etc. were contracted to build the “Dallas Times Herald Pasadena Perfect Homes” in exchange for their businesses appearing in a veritable onslaught of advertising-slash-publicity (which soon became publicity-slash-advertising). Each step of progress in the months-long construction of the houses was breathlessly reported in the Times Herald in regular reports, and looky-loos (i.e. potential buyers) were heartily encouraged to drive out to watch the goings-on. Make a day of it! This pleasant hard-sell to “own a bit of paradise in the heart of New East Dallas” was covered more as a community event than as the clever marketing gimmick it was. 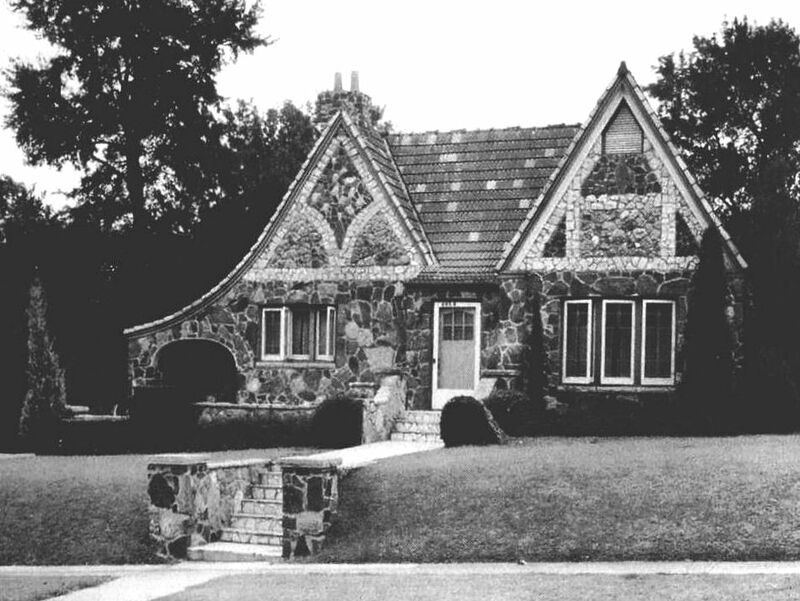 When the two homes were completed, there was an official opening on February 21, 1926. This boggles the mind, but apparently 20,000 people (TWENTY-THOUSAND PEOPLE!) showed up for this event. All that promotion worked. Lots in the little neighborhood sold quickly. The original “perfect home” pictured above is still there, on Wildgrove. 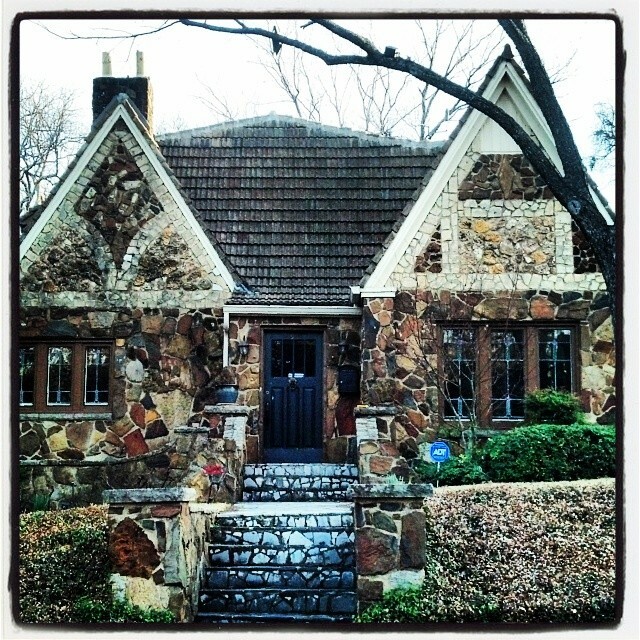 In fact, the house, designed by architect Arthur E. Thomas, was placed on the National Register of Historic Places in 2006 (listed as “The Dallas Times Herald Pasadena Perfect Home”). It’s well worth a nice Sunday drive to check out this home and the other homes in this lovely historic area. The Pasadena neighborhood remains unsullied by the McMansion-ization that has destroyed the charm of much of Dallas’ older neighborhoods, and driving down Pasadena’s tree-lined streets is an absolute joy. Above, the house from a 2011 Google maps photo. A photo I took at the end of February, 2014, Instagramized. For more on the Dallas Times Herald Perfect Home(s) (and a couple of other photos, on pages 2 and 38), see the article by Sam Childers in the Fall, 2002 issue of Legacies, here. There is also some info here. A little more info on this home (building materials, etc.) is here. 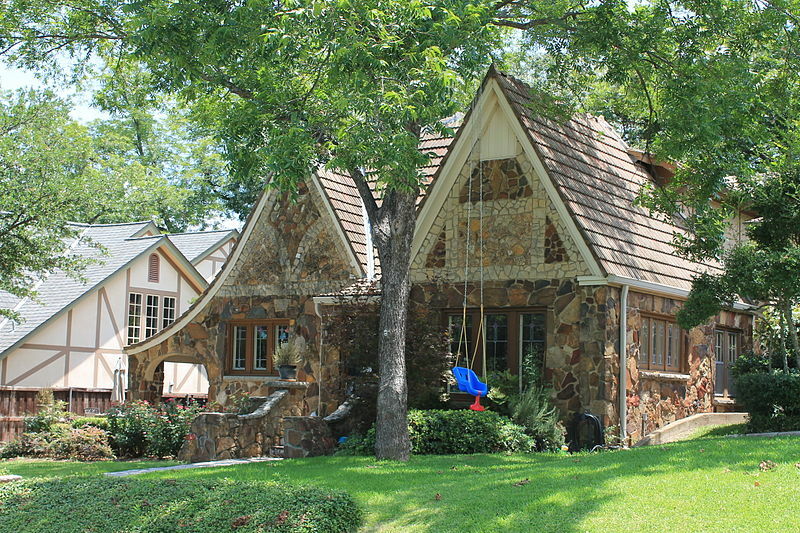 The architect of this house is Arthur E. Thomas, and he designed some pretty impressive buildings in Dallas, such as the Dr Pepper headquarters and Baylor Hospital, and, most impressively, he was one of the Centennial Architects who worked on the Centennial buildings in Fair Park in 1936. But I have found very little about him online. A brief bio is here. The following list of his projects is from a 1956 AIA directory. Thanks, Paula for the reference to my old Legacies article. It’s such a great neighborhood! You’re welcome, Sam. I enjoyed your article. I grew up in the Lower Greenville/M Streets area and I have to admit, I’d never even HEARD of Pasadena until a few weeks ago. It was such a nice surprise! The 1930 aerial photo shows that either construction was mighty slow, or that all the lots did NOT sell. I love these maps — in another one I was able to see the house I grew up in as one of the first built on the block. My parents always thought it was built in the early ’30s, but it was more like 1928/29. Thanks, Peter! Paula – Great article about the house. I’m actually the owner of 6938 Wildgrove and have a whole book on the history of it. I would love to share it with you someday. Let me know if you’re interested.